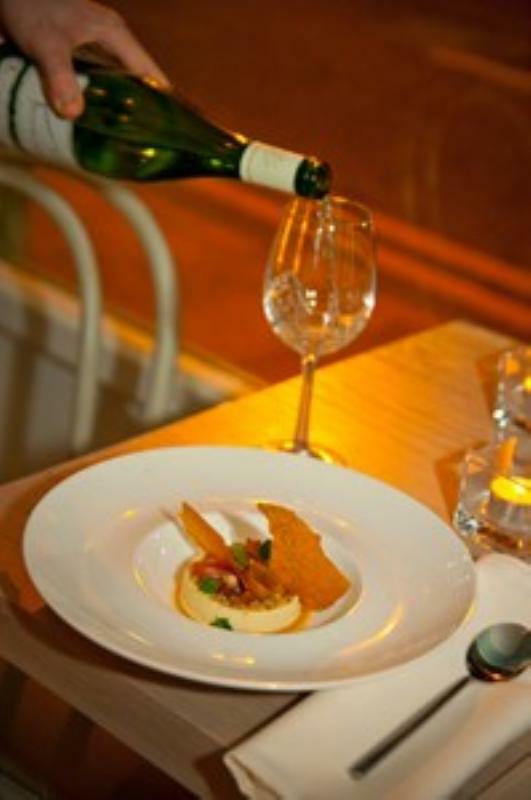 Aniar Restaurant is located on Galway's popular left bank within walking distance from the main Garda Station on Mill Street. It is owned by JP McMahon and Drigin Caffey the proprietors of the renowned Cava Spanish Restaurant and Tapas Bar situated next door. Aniar meaning 'from the west' is a light and airy contemporary style restaurant decked out in neutral colours, with pale aqua green offering a relaxing contrast. JP McMahon mans the stoves and his cooking is based on a terroir based philosophy, a word normally associated with winemaking, but here it is applied to his carefully sourced seasonal ingredients from trusted local suppliers, foraged foods from the wild and sustainably caught fish. The results are endlessly appealing and Anair has received numerous awards including a prestigious Michelin star. Menus change daily dependant on the availability of the freshest and finest ingredients and you might see starters of scallops, black pudding, cauliflower and lardo or ham hock, hazelnut, pear and tarragon on the menu. Follow on with monkfish, pumpkin, Jerusalem artichoke and mushroom or wild venison, apple, beetroot and hazelnut. Proceedings conclude in style with artfully displayed desserts such as beetroot and rose parfait, hazelnut praline and sorrel or goats milk pannacotta, meadowsweet, rosehip and blueberry. The well considered wine list features over eighty bottles from small artisan producers who also take their 'terroir' into great consideration and there is plenty of choice by the glass.